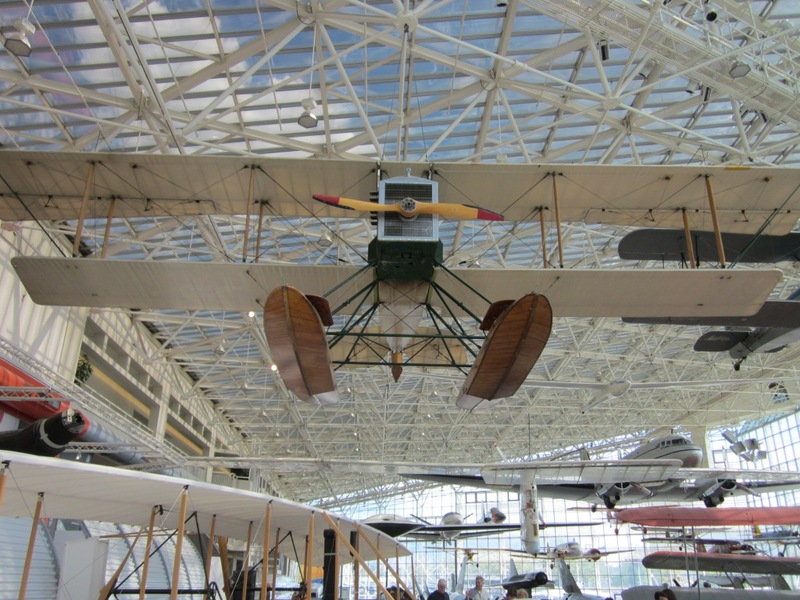 The Museum of Flight, in Seattle, is yet another great aerospace museum. It reminded me very much to the National Air and Space Museum in DC both because of the wealth of aircraft and artifacts in display and the variety of explanations provided (videos, sounds, readings, gadgets to play with…). a DC-3, a Bell “Huey” UH-1H Iroquois, etc. Bill & Moya Lear Gallery (Space Exhibit, named after the founder of Lear Jet Corporation): located at the side of the Great Gallery it has a diorama of the Apollo 17 landing site, with rover included, a replica of the International Space Station Destiny Research Laboratory, etc. The Tower: with direct view over the runway. Charles Simonyi Space Gallery (named after the Microsoft executive who became in 2007 the 5th space tourist and who in 2009 travelled to the International Space Station): which highlight is the Space Shuttle Trainer used to train Space Shuttle astronauts at Johnson Space Center in Houston. J. Elroy McCaw WWI and WWII galleries (named after a broadcasting magnate): unfortunately I did not have time to properly visit these galleries before the closing of the museum… a reason to come back again. I definitely recommend to visit this museum if you happen to be in Seattle. It is located in the South of Seattle at Boeing Field / King County airport. I would suggest to take no less than 5 hours to visit the museum and to arrive before noon, otherwise there will be some parts that you will not be able to visit properly (as it happened to me with the WWI and WWII galleries). Boeing has recently unveiled its latest Current Market Outlook (CMO): a commercial aviation market forecast for the next 20 years. 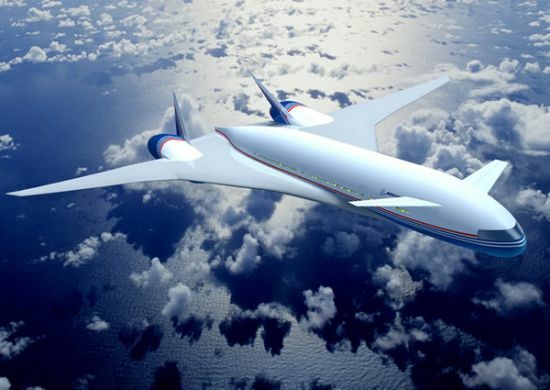 It calls for 30,900 new aircraft deliveries worth 3.6 trillion dollars. 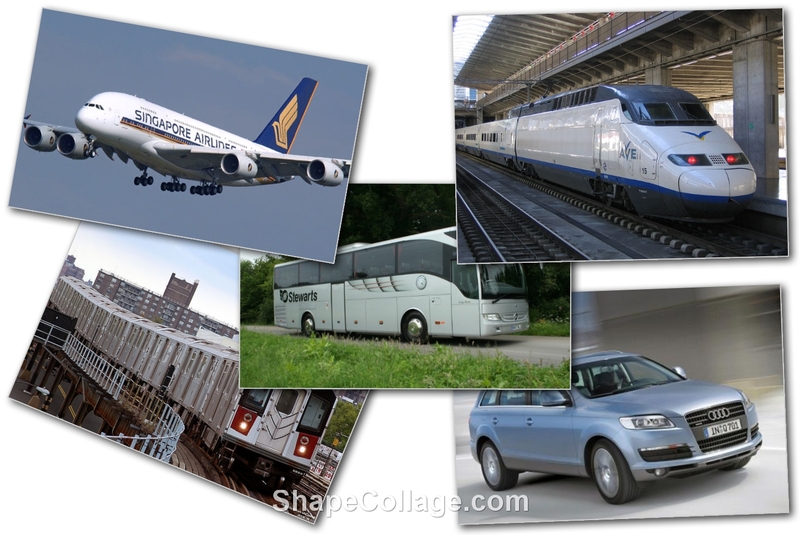 Today, I wanted to write about aircraft discounts and the possibility of having new entrants. Both Boeing and Airbus give their market forecast and backlog figures in what they call as list prices. 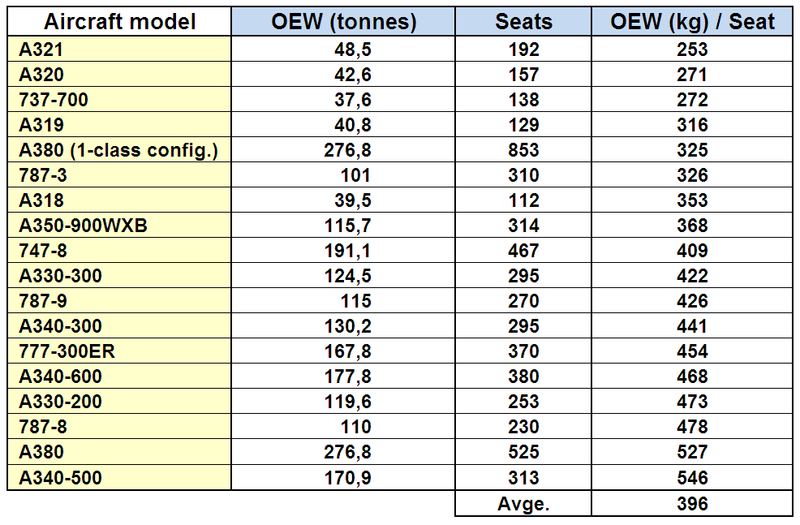 If you take figures from CMO, you will reach average list prices for regional jets (31M$), single-aisle (79M$), twin-aisle (230M$) and large aircraft (306M$). These figures are in accordance to the prices published in their website (dating from 2008). However, if you take their published numbers of deliveries each year and use the same prices, you would come to much higher revenues figures than the ones they publish in the year-end results: this is because aircraft makers actually sell the planes at a much lower price. How much lower? I took the figures of revenues, orders and deliveries of the last three years and tried to reach what would be the corresponding discount Boeing’s customers manage to get on average. I assumed that new orders come with a 3% down payment in the year of the booking, while the remaining cost I assumed that was paid on the year of delivery (for simplicity I didn’t consider more intermediate payments, the 3% figure was taken from the AIAA paper “A Hierarchical Aircraft Life Cycle Cost Analysis Model” by William J. Marx et al.). I also used estimated figures for Boeing Commercial Aviation Services ranging from 2.2bn$ to 3.3bn$. With these assumptions, I concluded that the average discount that would best replicate revenues figures for Boeing Commercial Airplanes with a minimum error was: 38%! (being the errors in revenues of: 0.05% for 2009, 3.2% for 2008 and 0.5% for 2007). Thus, when figuring out the value of those 30,900 aircraft we could rather estimate it at 2.2 trillion dollars (instead of 3.6 trn$). Randy Tinseth, BCA’s VP Marketing, was quoted in Flight Global saying that he expected at least one more competitor in the single-aisle segment. If there are more competitors, competition is going to be tight. Today Boeing Commercial Airplanes and Airbus Commercial yearly revenues together approximately account for 70bn$. If their revenues are to grow with Boeing’s forecasted world airplane fleet growth of 3.3%, along the next 20 years the revenues of both companies combined would amount to 1.94 trillion dollars. Considering that the whole market, factoring in discounted prices, was going to be 2.2 trn$, this leaves the rest of competitors a share of the pie of about 250bn$ for the next 20 years (excluding regional jets), this is just 11.4% of the market. If we look at it on a per year basis: 12.5bn$ a year for all new entrants (CSeries, Embraer, MS-21, SSJ, C919, Koreans, Japanese…) would mean about 250 aircraft a year (compared to the ~380-400 single-aisle that each Boeing and Airbus are delivering per year). 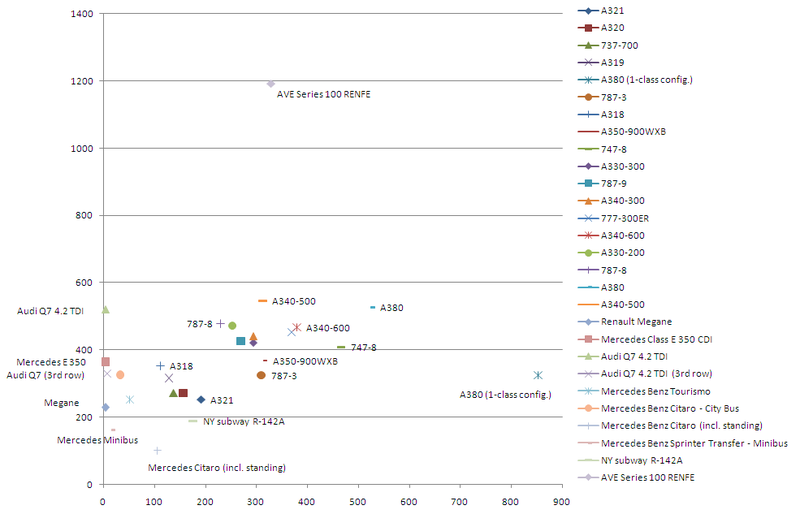 There is room for one commercial success comparable to the 737 or A320 family, but there is not room for two… maybe this is why Randy says “one or two of those guys into the mix” (despite of the many more new possible players).